The second post in our October issue of the Forum comes from Amanda Mbuvi (High Point University), a Hebrew Bible scholar, in which she offers the book of Genesis as a potential resource for rethinking notions of race and identity in light of recent events. For our October roundtable, we have invited several scholars of religion to reflect on the recent events in Charlottesville, Virginia, recognizing #Charlottesville as a moment of national reckoning with white supremacy and the manifold forms of racism operating in American culture and politics, including both those which are explicit as well as subtle-but-no-less-sinister forms. Contributors to the roundtable will offer analyses of the relationship of religion to race and white supremacy, and they will think about the potential contributions of scholarship in religion for helping shape broader discourses about race in the US. We invite you to join the conversation by sharing your thoughts and questions in the comments section below. Rivera received her identity as a person of color through repeated encounters in which she observed an immediate negative shift in people’s perception of her upon learning of her Puerto Rican origins. After overhearing her speaking Spanish on the phone with her mother, they asked where she was from. When she mentioned Puerto Rico, she then saw “the changing of the visage of people and their perceptions of me afterward.” Her unmarked (white) identity vanished in an instant and she became something other, something “less.” Taking on the identity of a person of color was not a choice she made to present herself as different. It was a recognition of a choice that other people were making about her, and it was a direct result of coming to live in the United States. The ubiquity of experiences like Rivera’s are why so many people of color present race to their children as a fundamental and inescapable part of who they are. Rivera thought she was white (a thought largely consisting in not thinking about her race at all). But other people repeatedly challenged that self-perception, assigning her a different identity and relating to her on that basis. By teaching their children to embrace their racial identity and feel pride in it, parents hope to protect them from the pain that Rivera experienced at being reclassified and demoted in the space of a brief encounter. And social disapproval is just the tip of the iceberg—in fraught circumstances such as when the specter of criminality has been raised, negative social perception can have deadly consequences. In the United States, the well-being and survival of people of color depend on being aware of and adjusting to the role of race. But while Rivera’s experience highlights the power of race as a social reality, it also demonstrates the illusion of race as a feature of bodies. Her body did not change when she moved from one context to another, but because of the different significance attributed to language and place of origin, her race did. Although it encompasses physical features, racial identity as we know it is not a truth residing in our bodies. It is assigned, and different societies assign it differently. Rivera’s story illustrates the way in which white supremacy is expressed not only in pointed declarations like those at the Charlottesville demonstrations, but also in the everyday processes of racialization that define whiteness as the unmarked identity from which all others deviate. Racism is a problem deriving from the typical ways in which identity is conceptualized and lived out, not one confined to a few renegade people and institutions. Reversing its harms therefore requires dismantling race itself—not by pretending it doesn’t matter (i.e., “colorblindness”), but by addressing its impacts while treating it as the product of human decision rather than a fact objectively and inalterably residing in our DNA. Resources for such a task can be found in the biblical book of Genesis, which centers on a story of transformation of social identity (let’s not impose our modern categories and call it race). YHWH calls Abram (Abraham) away from everything that had defined him and promises to make him the ancestor of a new people in a new, as yet unspecified, homeland (Gen. 12:1-3). With that gesture, Genesis upends modern convention, depicting social identity not only as amenable to change, but also as contingent on relationship with God. Genesis devotes most of its space to the process of living into the promises of YHWH before those promises have an established shape in the world. Abraham steps into the role of membership in a new people that has no name and that does not yet exist for anyone outside his household. As the members of the household grapple with their new identity and its implications, others continue to interact with them according to already established terms. The book concludes with the descendants of Abraham not yet a people, not yet at home in the promised land. Genesis emphasizes the in-between—liminal spaces where the present and the future coexist. The way in which the book withholds both peoplehood and place from Abraham and his household ensures that they do not simply move from one category to another. Rather, they go off the grid, leaving behind the very system according to which the categories are reckoned and moving to a new kind of identity rooted in the divine word. For the people descending from Abraham, the divine word stands as the source of identity and being. As Genesis depicts them, they have no existence before or beyond the call of YHWH. By thus subordinating what we might call national or racial/ethnic identity to theological identity, Genesis presents an alternative to the modern tendency to regard race as preconditioning all experience, including religious experience. Genesis describes relationship with YHWH as transcending and transforming race, creating a new social self, not just a “spiritual” self that operates only within parameters established in the body at birth. Genesis has a different system of belonging, one conveyed through the book’s powerful but theologically underutilized genealogies. In contrast to the reductionist tendency to view family as a biologically affiliated group of people in a nuclear or slightly larger unit, Genesis presents an expansive view of kinship that uses genealogy to incorporate the cosmos under the rubric of family (2:4). The recurring genealogical formula “these are the generations of…” provides the structure for the entire book. 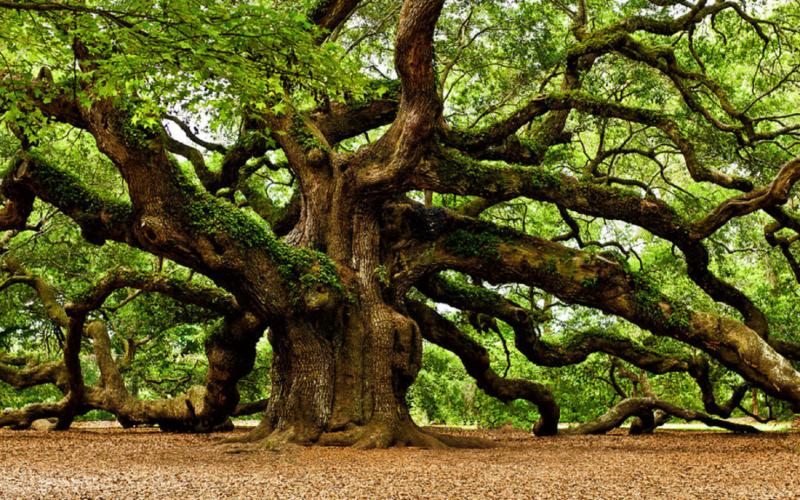 Through genealogy and narrative and the interplay between them, Genesis situates human diversity within a family tree that links not only all humanity, but also all creation in a single network in which the fruitfulness of any branch depends on the well-being of the entire tree. For contemporary readers who count themselves among the family of Abraham, the book’s depiction of Abraham and his household interacting with people who interpellate them into the established system of social identity speaks to the current experience of living with both the identity that comes from the divine word and the one(s) that come from other people. The transition from old self to new self does not come easily to the patriarchs and matriarchs, as it does not come easily to those trying to move beyond the racial outlook deeply embedded in the modern imagination and its social structures. But Genesis embraces the process of navigating the in-between, celebrating it as a defining characteristic of the family that journeys with YHWH. To be in relationship with YHWH is to undertake, like Rivera, a journey that upends one’s sense of self. 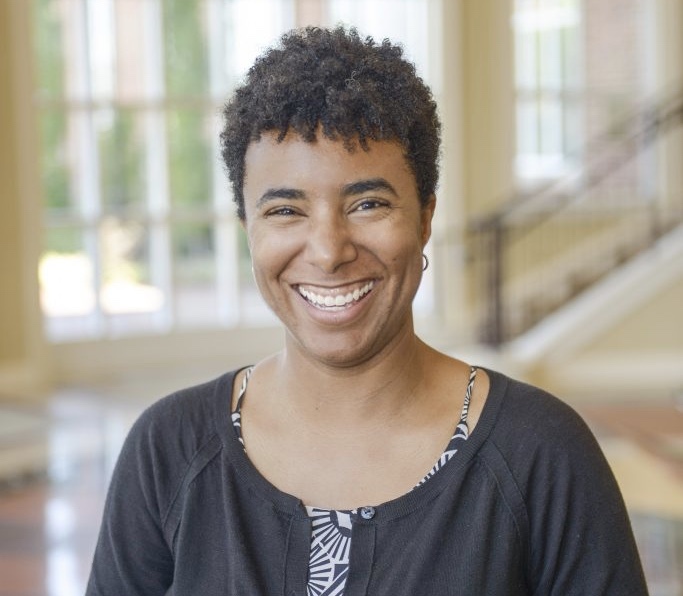 Amanda Mbuvi is Assistant Professor of Religion at High Point University and the author of the recent book Belonging in Genesis: Biblical Israel and the Politics of Identity Formation. She specializes in biblical and Jewish studies. Her work uses an interdisciplinary perspective to engage questions of identity and community that are prominent in both the biblical texts and contemporary conversations about how we live with those texts and with each other.